I suppose this is actually day nine but since I did not post a painting on day eight, I am counting today as day eight. Day eight was spent assembling a home gym. My husband, stepson and I all lost a good two pounds each from the assembly alone. We are very hopeful with the results we might obtain from actually using it! Ha! The subject of today’s painting is of one of my very favorite fruits. The lovely pear. I am rather pleased with this effort. 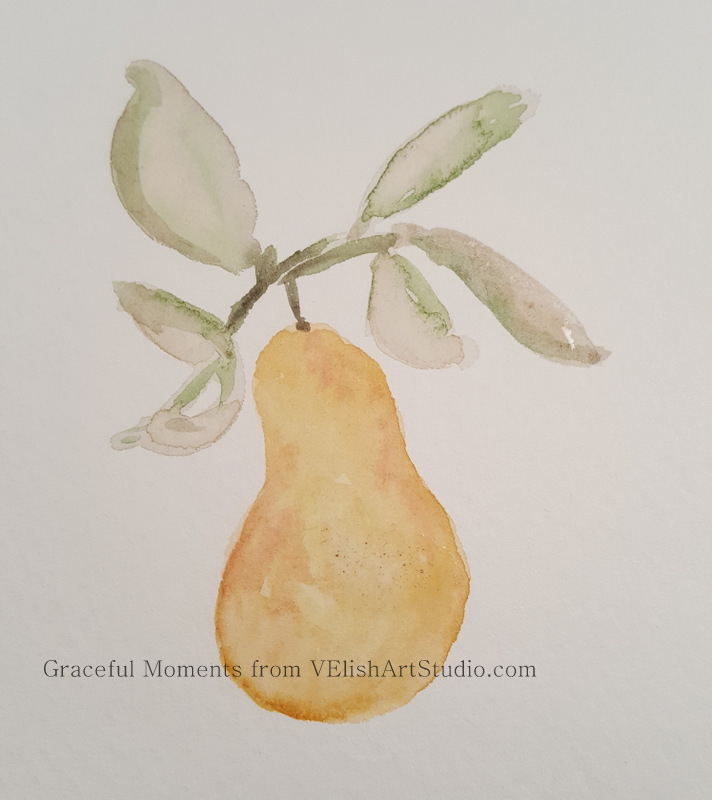 I titled it “Pear in a Pear Tree.” I kept it simple and didn’t overwork it and stopped when my time was up. There are imperfections but I find that they are not bothering me nearly as much as they once did, so I believe this exercise is working. Hope you like it. Hope to post day nine tomorrow. In the meantime, I hope that happiness and joy find you today.